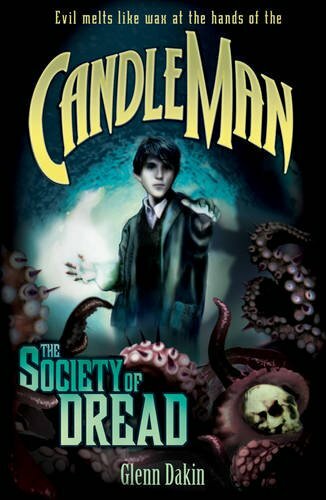 Today, I have the brilliant Glenn Dakin with me, author of the Candle Man series, to share more about creating the world in which his series is set. I will be reviewing the second book in the series tomorrow as well as hosting a giveaway. He pulled a face. ‘Oh, I never go there,’ he replied. This made me smile as he has lived in Carpenders Park since at least the 1960s. But to Harry, who either stays in his home, or shops further afield, he never actually goes to the place where he lives. This is a bit like writers of fantasy, who dream up fantastical worlds, which we inhabit more sincerely than the world around us. Real life? Oh, I never go there. One of the things that attracted me to the adventure of writing Candle Man was the fact that it wasn’t just a story - it was a world. From the moment I dreamt up my sad young hero Theo, I knew a whole realm of secret places awaited him. Locating the world of the Candle Man was not exactly an act of invention, but an act of finding. In some ways the world of Candle Man was already there, if I searched my memories deeply. The gothic landscape of secret watchtowers, underground canals and weed-choked graveyards is all based on my childhood impressions of London. I grew up in Harrow Weald in the sixties, where newsagents, bus stations and barber shops provided a backdrop of upbeat semi-modernity. But once in a while, Dad would take me into the city, where a different layer of my imagination was kindled. Here, mysterious statues watched you as you strode historic streets, secret gardens hid behind barbed railings, soft lamps glowed in private courtyards. The world of the past seemed to be creeping up behind you, watching you, as you were discovering it. Down in the underground - a marvel that seemed to have been built by an earlier, more miraculous civilization - trains rattled and screamed through dark tunnels, gleaming escalators rose, part menacing, part benign, to speed you on your way. It was a dazzling vision of a bigger universe. The main setting for the Candle Man’s adventures is the network, a labyrinth beneath the streets of London. This was created out of necessity. Early in book one, my hero had to flee enemies. But where would he flee to? I needed a setting. Theo, I realised, must have access to secret ways, a snakes-and-ladders board of routes that would plunge him swiftly in and out of trouble. And so, Theo’s network began as a collection of secret passageways beneath the city: abandoned sewers, forgotten maintenance shafts and suchlike, the stuff of many adventure tales. But that wasn’t enough. The network was calling – and it called my imagination downwards. I needed another level. Somewhere for the bad guys to keep their technology – their alchemical machines. Suddenly the network housed hidden silos of potent potions. It had a mushroom farm for growing the bio-luminescent fungus that powered the lighting system. It had a gulag – a prison for containing the dreaded spectres of the Eighty-eight – shadows of the Candle Man’s dark past. I also needed transport – I couldn’t reasonably expect my footsore characters to walk everywhere. So I found another level, into which I added an ancient canal system. The network kept growing. And at the end of book one, I needed a location for my big finale, a mind-boggling vault of wonders to open up infinite possibilities as the book thundered towards its end. So I went back through my thoughts and pieced them together in a different way. I decided that the levels were all part of a lost alchemical city, built in centuries past. I invented the Well Chamber, and, a cathedral-sized crucible – a temple of experiments - into which all the waters of the underground canals flowed. At this point, I knew that I had not only solved my plotting needs for Theo’s many escapes – I was beginning to find a bigger backstory –a mythology to underscore the adventure I was creating. History was beginning to appear, a past to enrich the Candle Man’s present. This was a key moment for me as I have so admired Tolkien’s approach of delighting the reader with ‘unexplained vistas’, shadows and suggestions of earlier worlds that enhance the current narrative. It seemed I had wandered into some lost vistas myself. Thank you Glenn for sharing that with us! This sounds really good, an undergorund labyrinth bulit by a lost civilization. It really never ceases to amaze me, how when we read a book we travel into a completely different world and the experince is proabaly even greater to the author who built that world. Great post - love to hear from authors! Thanks! "Real life? Oh, I never go there." Loved the background info. The setting kind of reminds me of one of my favorite Nightstalker episodes which took place in old San Francisco, under the current SFO. Thank for the interesting interview pot! The premise sounds great. Labyrinths and lost civilizations - count me in :). I love getting a peek at the world building of an author and this one sounds especially fascinating. What a wonderful sharing today - I am always fascinated by the writing process experienced by different authors - this is a talent and gift I admire. Great guest post! Really enjoyed reading this and very much looking forward to reading this series, it sounds awesome! I look forward to being pulled along in the adventures of the characters in Candle Man.